If you need a tough pair of work boots but don't need or want the protection and heaviness that comes with having a protective toe, look no further than these KEEN Utility Men's Brown 1018666 Baltimore 6-Inch Waterproof Work Boots. They're waterproof, durable, comf ... (see full details) (see specifications) #1018666. If you need a tough pair of work boots but don't need or want the protection and heaviness that comes with having a protective toe, look no further than these KEEN Utility Men's Brown 1018666 Baltimore 6-Inch Waterproof Work Boots. They're waterproof, durable, comfortable, and designed with special features to keep you safe. Comfort can be found in these men's brown boots. 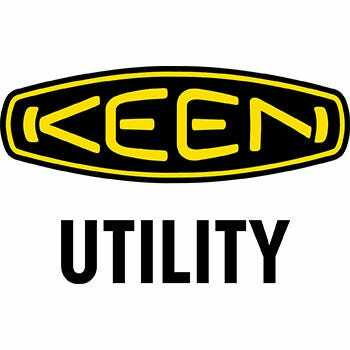 KEEN designed them with a removable polyurethane (PU) footbed that features a metatomical shape. The metatomical footbed design is an internal support mechanism that's engineered to offer you supreme arch support while cradling the contours of your feet. The footbed is accompanied by a thermoplastic polyurethane (TPU) shank that provides midfoot comfort while reducing the risk for strain and foot exhaustion. The shank does so by absorbing shock that results from repetitive ground strike impact. In addition to comfort, these men's waterproof boots are capable of keeping you safe thanks to the outsole. The outsole is made of rubber and meets the requirements for the safety standard ASTM F2412-11 and F2413-11 EH. Basically, the standard tests the outsoles ability to keep you safe in the event of contact with electricity and these KEEN boots passed. The rubber outsole is also made with a 90-degree heel, which offers sure-footedness and increased balance, especially if you are standing on an edge or a ladder rung. Aside from comfort and protection, these Baltimore 6-inch waterproof boots can keep you dry, as they're constructed with a waterproof exterior and interior. The leather used to craft the brown boots is waterproof, and the interior features a KEEN.Dry waterproof, breathable membrane. The membrane works with a moisture-wicking textile to keep your feet dry from interior and exterior wetness without making them feel suffocated. Lastly, the men's footwear feature Cleansport NXT technology, which keeps your feet smelling fresh wear after wear. Finally, these men's soft toe boots are well-made. The upper is crafted from leather and is paired with a multi-directional lugged outsole. Together, they create medium-duty boots that weigh 25.9 ounces and can keep up with the work you’ll put them through each day. If you want a pair of men's utility boots that are strong and waterproof, comfortable and protective, order these KEEN Utility Men's Brown 1018666 Baltimore 6-Inch Waterproof Work Boots here at Working Person’s Store today. KEEN Utility Boots: Men's Brown 1018666 Baltimore 6 Inch Waterproof Work Boots is being added to your cart.